New land plots in Dubai World Central have been made available for foreigners to purchase follow a decision on Monday by His Highness Shaikh Mohammad Bin Rashid Al Maktoum, UAE Vice-President and Prime Minister and Ruler of Dubai. In his capacity as Ruler of Dubai, Shaikh Mohammad issued Decision No (8) of 2016 approving three new plots in Dubai World Central for foreign ownership. “The decision grants non-UAE nationals the rights to absolute ownership, without a specific time frame, of lands and properties located in land plots number (205), (206) and (207) in the Dubai World Central area (521),” according to the Dubai Media Office. 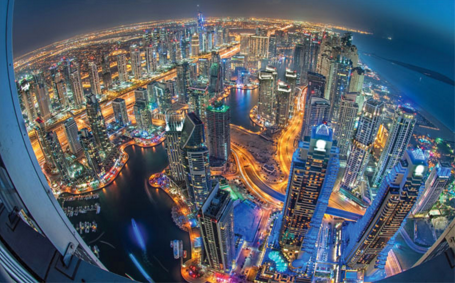 The decision was taken to support growth in the Dubai World Central area, according to the Dubai Media Office. The Dubai World Central area is where Dubai’s future mega airport Al Maktoum International is located and will be where Dubai hosts Expo 2020. Apart from the Expo 2020 venue and the Airport, Dubai’s longer term strategy is to create a full-scale mini-city within the bounds of Dubai South. The strategy also makes provisions for overseas investors to commit to the various possibilities that will open up there, including creation of commercial assets.